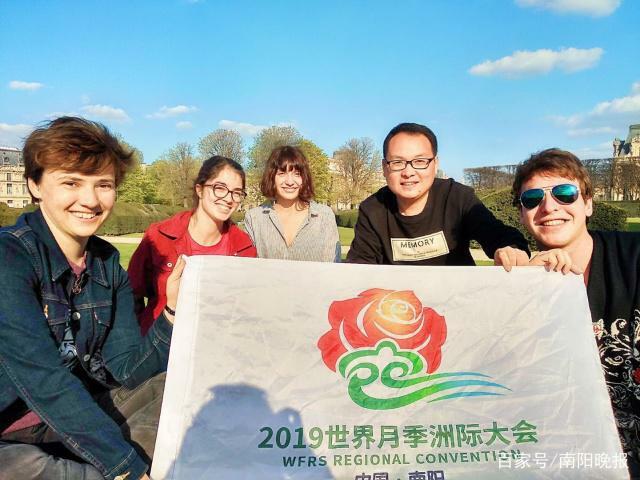 In the video, foreigners hold flags of the upcoming 2019 World Federation of Rose Societies (WFRS) Regional Convention in Nanyang, and say "Welcome to Nanyang" in Chinese at popular tourist destinations and landmarks in Europe. On March 8, Li was invited to this year's International Dental Show (IDS) in Cologne, Germany. 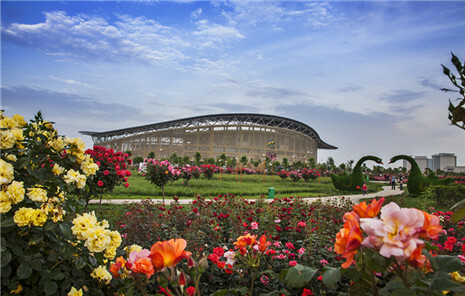 During his near one month long trip, he traveled across nine countries in Europe, where he had the idea of promoting his hometown, "the city of roses in China", to Europeans during his journey. "When I was in Switzerland, I found that the environment there is quite wonderful. The landscape in my hometown is also great, too. It would be a pity if I did not promote my hometown," Li said. 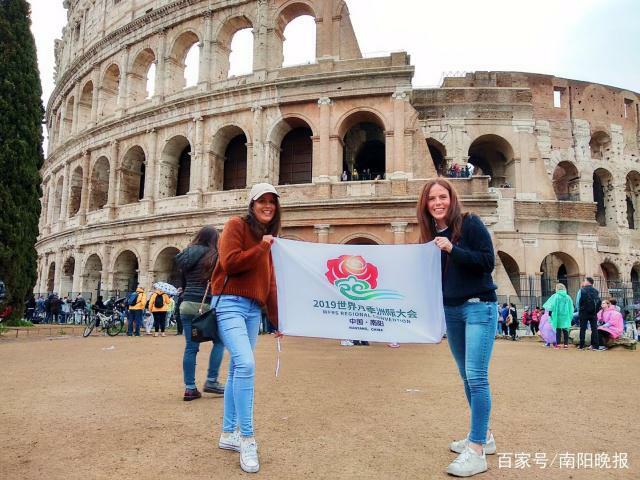 Li then found a local advertising agency to print out the flag of the 2019 WFRS Regional Convention and taught foreigners to say "Nanyang Huanying Ni" in Nanyang dialect , which means "Welcome to Nanyang", at scenic spots with large flow of visitors. 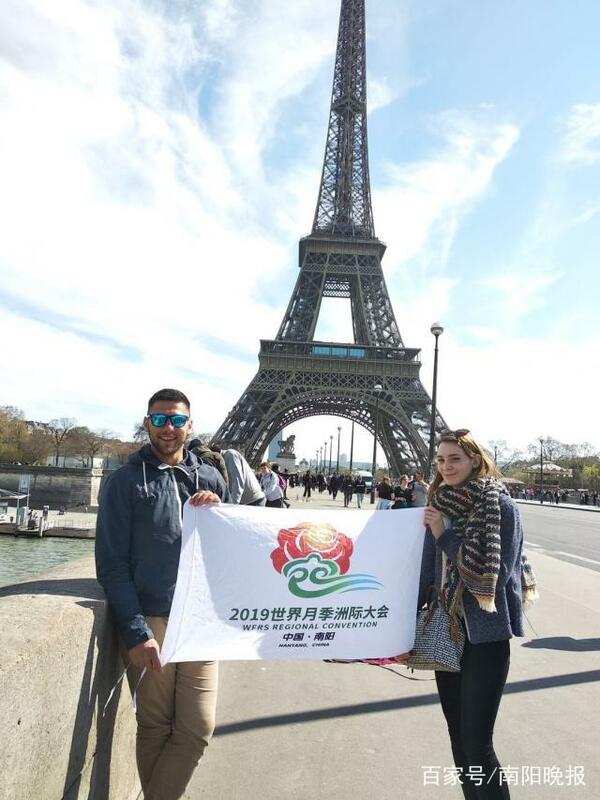 "A foreigner was quite excited when he saw the flag and said he plants roses at home," Li recalled his experience in Spain. To Li's surprise, the foreigner's roses were from China. Due to language barrier, Li has to spend quite a long time to teach foreigners Chinese and persuade them to take part in the shooting. Though it was a tough mission and his journey was delayed sometimes, Li said it's worthy of teaching foreigners from seven countries to speak that greeting in Nanyang dialect.